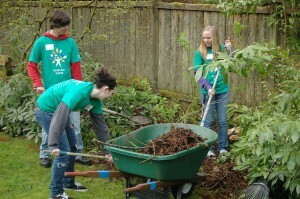 When Comcast recruits 40 active, excited volunteers and sends them out for a day of community service, there is only one thing you can expect – an awesome display of hands-on action that will completely change the lifestyle for one Thurston County neighbor. 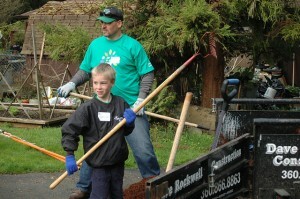 On Saturday, Comcast will join forces with local non-profit Rebuilding Together. During the Comcast Cares Day, Comcast will gather more than 40 employees and family members to supply much needed home improvements to a local resident. Comcast will also make a financial donation of over $1,000 to provide supplies for the project. In this partnership with Rebuilding Together, April 27 will mark not only Comcast Cares Day but also National Rebuilding Day. 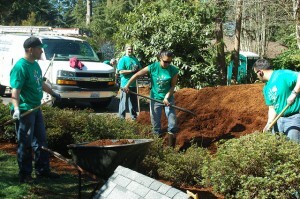 More than 600 volunteers, from across Thurston County will arrive at specific homes to complete projects ranging from building fences, to replacing appliances, repairing walls, and even painting and yard work. This year Comcast will be working at the home of a woman named Kristen who recently suffered a traumatic brain injury. The Comcast team is gearing up to do what can only be described as major renovations to her home that will positively impact her quality of life. The work is so intricate that it will require a complete prep day a week earlier. On both work days, Comcast’s 40 volunteers will completely renovate Kristen’s home. David Glasgo, a Comcast technical operations supervisor, volunteers as the lead supervisor on the project. In his words this is a vital role for the company. “The community gives a lot to us. It is important for us to give back,” says Glasgo whose four children also participate in the volunteer project. Rebuilding Together’s mission is to support communities and families in need, and to help keep people safe, warm and independent. Year round they accept applicants that fit certain criteria, specifically individuals who are elderly, disabled, veterans, and low-income families with children. Applicants are thoroughly vetted, considering factors such as home ownership status and the applicant’s ability to safely stay in their home. The people who qualify are sometimes in such a great state of need that its heart wrenching just to hear the stories. The local Olympia chapter of Rebuilding Together, headed by the dynamic President Jackie Ashley, is preparing to work on eleven projects on Rebuilding Day. Each location will have a different sponsor, volunteer coordinator, and labor team made up entirely of generous community members. You might think it would be a daunting task to bring in the volunteers needed for such an undertaking. But Jackie claims that is “not that hard because skilled folks like giving back to the community.” Talk about refreshing! Glasgo and his team of Comcast coworkers are excited for the upcoming event. While the recipient does get to reap the benefits of the renovations the team members take away something special too. This is a day for families to participate together, make new friends, see the joy that they bring by giving to others, and have fun. The feedback from the employees in previous years is that this event sparks excitement because it is truly enjoyable for those who put the work in. Jackie reflects the same sentiments. She says that many volunteers report about the rewards of being associated with the project. Comcast and other local businesses will be around town on April 27 completing projects. Without the volunteer hours and financial commitment from companies like Comcast, Rebuilding Together would not be as successful in completing the enormous quantity of work within the community. 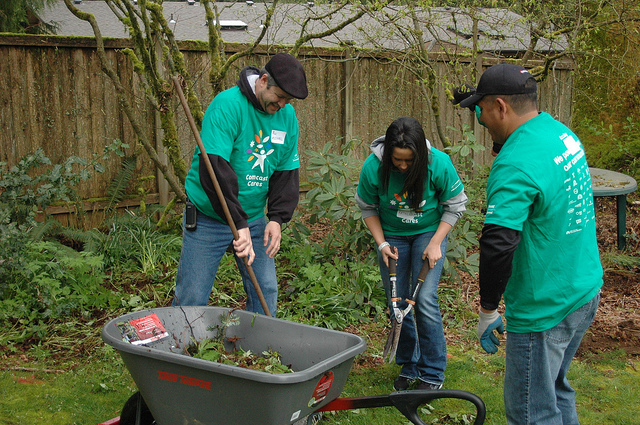 To find out more about all 13 Comcast Cares Day volunteer sites in Washington State or the 600 around the country, visit this site. To learn more about Rebuilding Together, contact Jackie Ashley through Rebuilding Together.